We first announced RainBank’s involvement in Heron Hall almost two years ago. Project founder and homeowner Jason McLennan is considered one of the most influential individuals in the green building movement today. 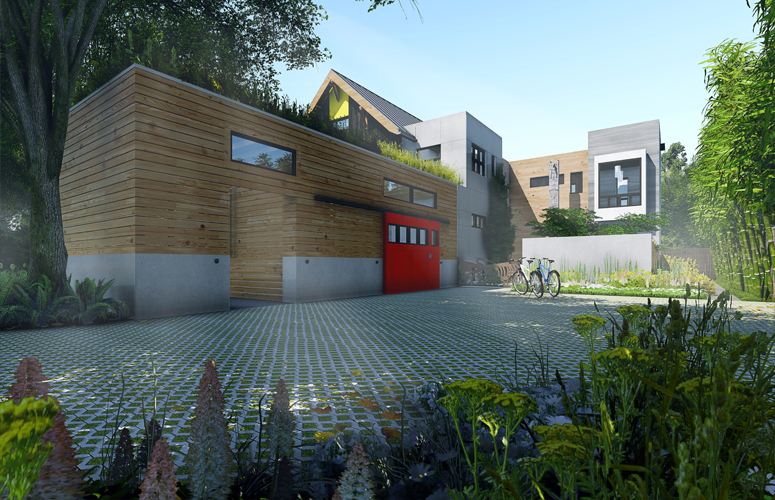 Planning has come to fruition and the challenge of building Heron Hall, Jason McLennan’s leading edge green project and Living Building home on Bainbridge Island, WA is in full swing. RainBank Rainwater Collection Systems principal Ken Blair is pleased to be a member of the Engineering and Consultant Team for Jason McLennan’s Heron Hall, a living building home McLennan is the CEO of the International Living Future Institute, a non profit organization behind the world’s most progressive and stringent green building guidance system. He is the creator of the Living Building Challenge and heads Cascadia Green Building Council, the Pacific Northwest chapter for the US Green Building Council and the Canada Green Building Council. McLennan states, “it’s not enough for architects, construction companies, and real estate management companies to focus on reducing their environmental impact. The time is right to be far more ambitious, think instead about recharging and replenishing our planet“, explains Jason. Click here to read about Heron Hall. As the world seeks workable answers to sustainable building practices, Heron Hall will be a benchmark for this and future generations to follow. 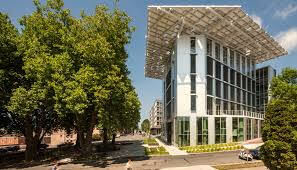 One of the most ambitious aspects of the Bullitt Center was to achieve the goals of the Living Building Challenge, created by CEO Jason McLennan in 2006 and encourages eco-centric design. 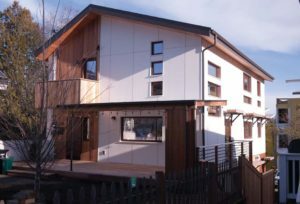 The Living Building Challenge carries the strictest green building requirements in the industry. 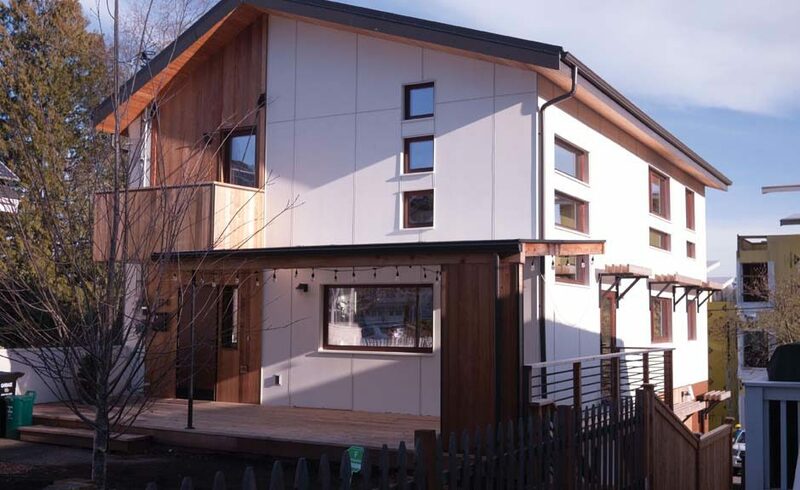 Now McLennan is building his own home, Heron Hall, incorporating the same design challenges as the Bullitt Center. Heron Hall’s whole house water system is sole source, meaning that rainwater is the only source of water. The water system was designed by 2020 Engineering with RainBank Rainwater Systems as a consultant to the design team. 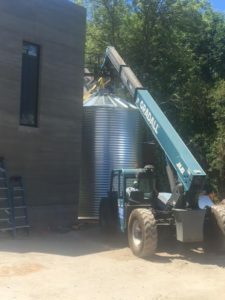 RainBank was contracted to construct the 15,000 Gallon Contain Water Systems tank cistern and now is looking forward to building the filtration and pumping system. McLennan recently published a blog post about the cistern build, which was completed last week. 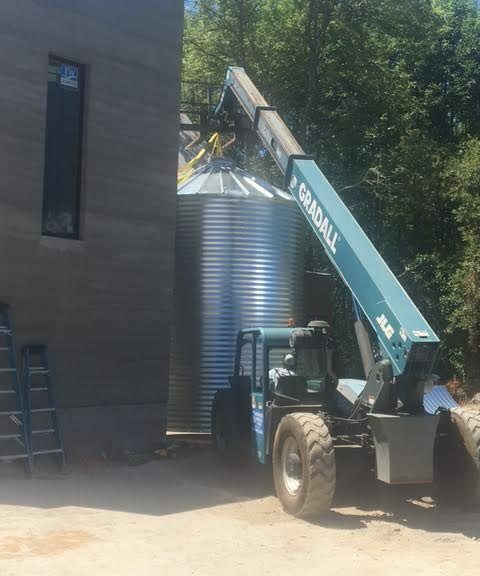 RainBank’s Engineer, Chad Lindsly, along with president Ken Blair are working on the final details of the system’s components and will be installing that portion of the system soon. Stay tuned for updates on this exciting project.